More Aurifil Thread Journey Sightings!!! Hello Friends, I hope you have been well! I am so excited to share with you additional Thread Journey sightings today! 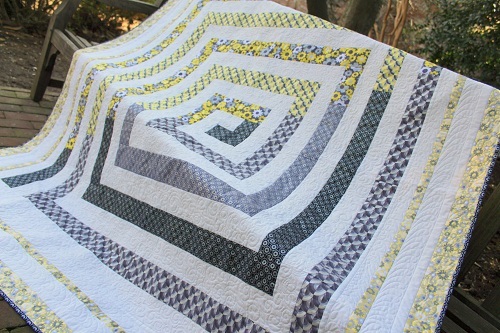 I love it when you send me pictures of your quilts. 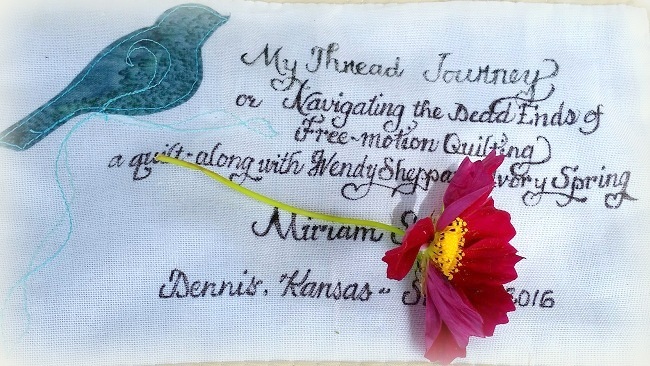 You remember this cool picture of Miriam’s Thread Journey quilt top, right? Well, Miriam has totally completed her quilt!!! I feel so honored that she included my name on the quilt label!!!! THANKS, Miriam… I feel like I have arrived, haha! Meanwhile, Kathy (for whom I am always grateful because she prays for me!) finished constructing her version of Thread Journey. I love the rich colors Kathy has used. 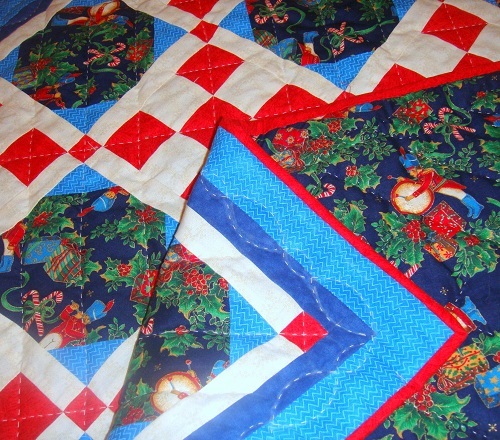 I actually see her quilt being used during the holidays. 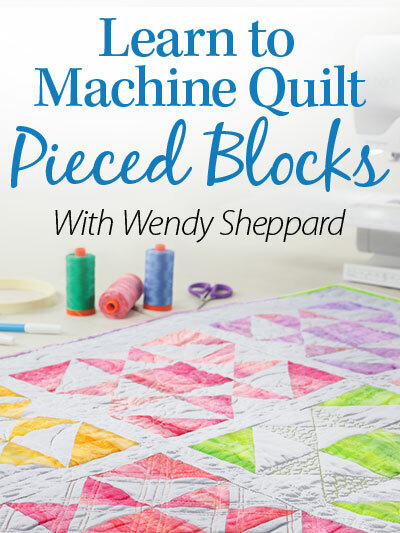 I am always blown away by the thought of how we as quilters are bound by threads as we embark on our individual, and yet interconnecting quilting journey(s) that are seasoned with so many sweet friends! 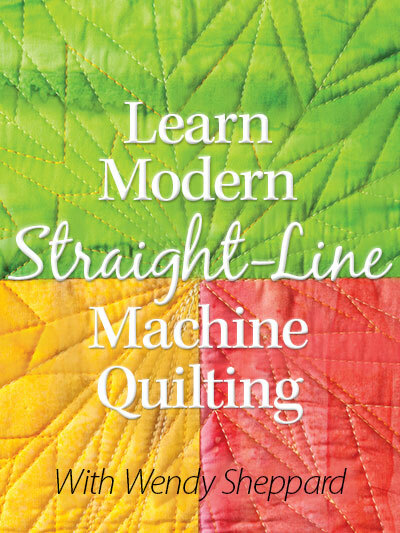 I know that to be true in my own quilting journey. 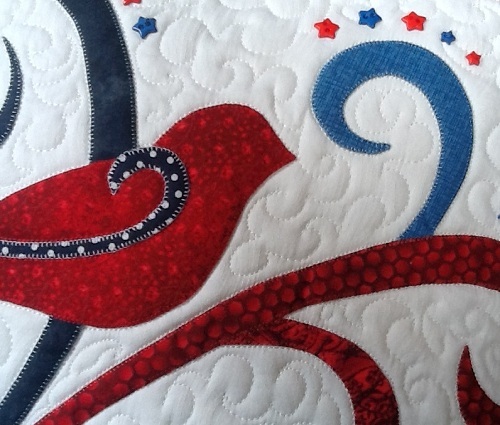 I just chatted with a quilting friend today who has quickly become one of my greatest cheerleaders, and that did my heart a lot of good…. to think I probably wouldn’t have met her if we weren’t bound by threads! With that, I want to thank ALL of you for your friendships. I actually owe many of you emails. I feel quite bad about behind on my emails… I am hoping I will be able to crawl out of the pile soon to write you as I have promised. Thank you for stopping by. Blessings to all of you! 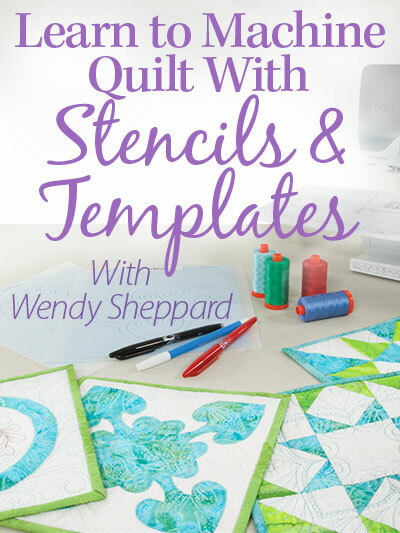 NOW — I want to hear about the sweet friends you have made in your quilting journey. #1. 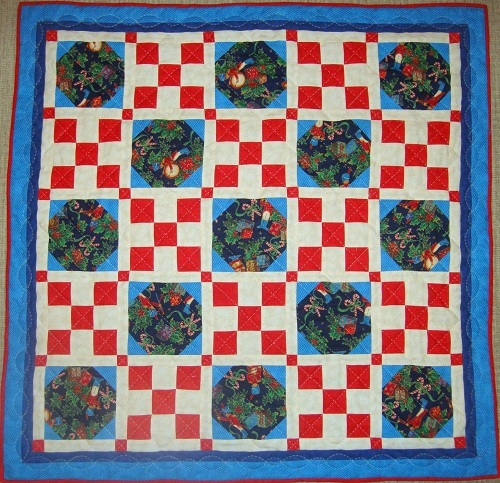 Here is another Movement in Squares quilt. Pat made this as a graduation gift!!!! #2. Pam has used my Curious Cat design multiple times!!! 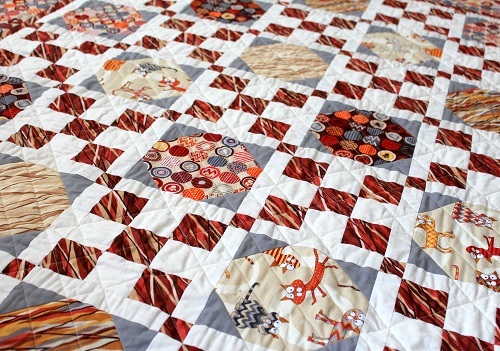 My original design used cat prints in the quilt, but Pam has used the design to cover different themes: Japanese Kawaii, Christmas, Cars and Underwater! 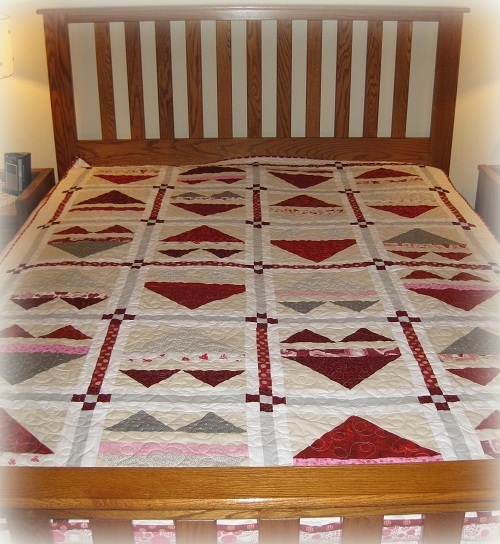 I love it whenever Pam emails me pictures of the quilts she makes with my designs! #3. The same Pam brought my First Thanksgiving wallhanging to sea!!! Haha!!! #4. Miriam made a fabulous version of my Care For A Cuppa? wallhanging. 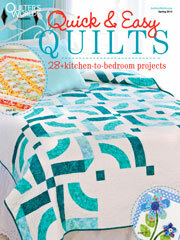 The pattern is found in my book Creative Quilts & Projects Using Precuts or Stash. Incidentally, you can get the book at a sale price right now here. #5. 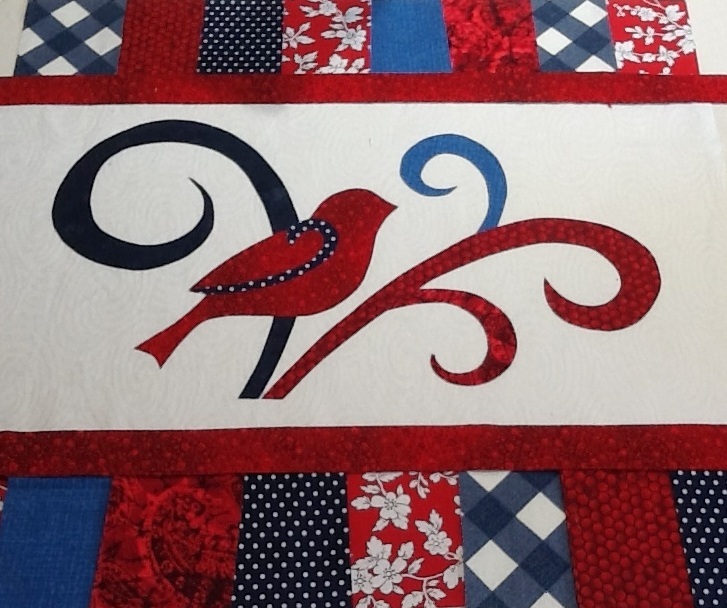 And Deborah from Canada made a Christmas version of my Flight of Colors Pillow (also in my Creative Quilts & Projects using Precuts or Stash book). Deborah does beautiful work, and you can follow her work on Instagram. 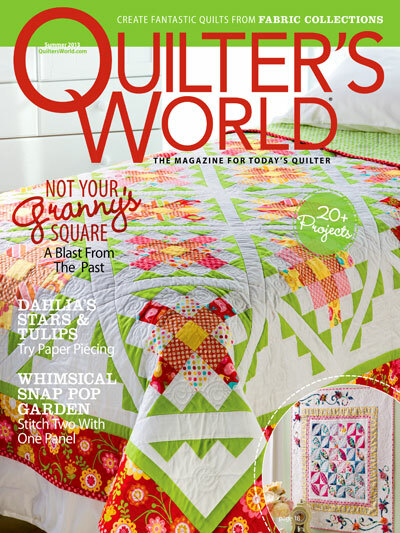 Thank you, dear quilting friends, for sharing your quilts with me!!! Keep them coming. Have a great day!!!!! 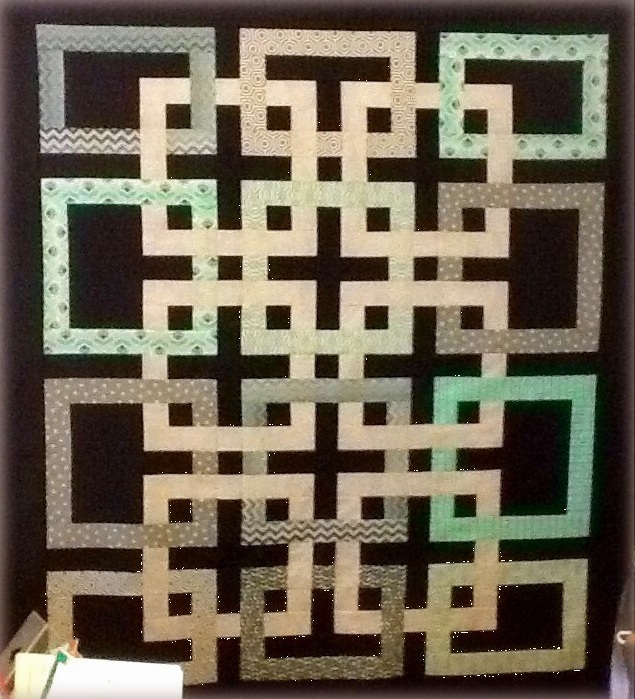 Hello Friends, Christine made my day yesterday when she sent me this picture of her Movement in Squares quilt in Vermont Quilt Festival 2015! 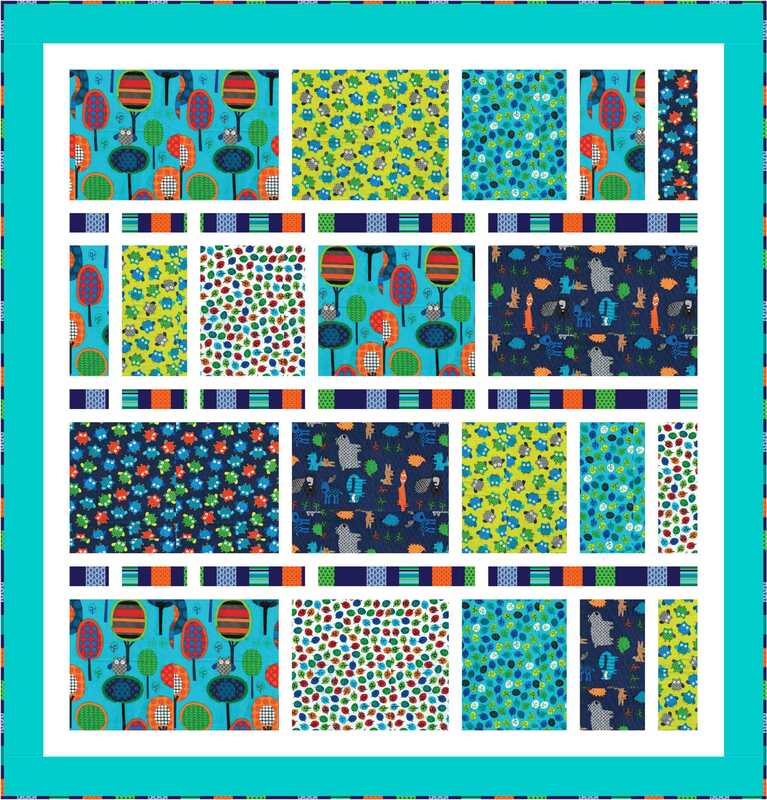 Movement in Squares won Benartex’s 2014 Fan Favorite, and I am happy to hear that many have enjoyed that pattern. 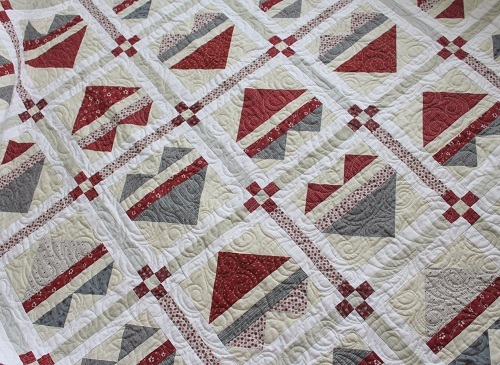 I love how Christine quilted her quilt with an “interlocking” motif! 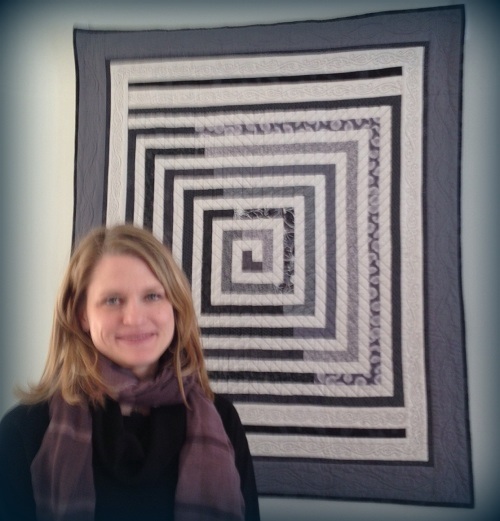 Congratulations, Christine… and thank you for sharing your quilt with us! Information on downloading pattern instructions is found here. Thank you, Friends, for stopping by. I hope you week got off a stupendous start for you! I am still reading your comments from a few days ago – you ladies are keeping me busy… but I am not complaining -no, no, no! Gotta run for now – lots to get done this week. LOTS! I shall catch up with you later! So…. what are you doing this week? Hello Friends, it’s been quite a week at Ivory Spring – besides running a bit behind on the planned stuff in our schedules, I received some unexpected assignments that demanded my immediate attention. But it’s okay, some weeks are like that… I re-adjusted my schedule while waiting for Miss Baby get out of school, I think everything that should fall in place will still happen — except getting back to your comments will probably not happen this weekend. Please know I am NOT ignoring you! 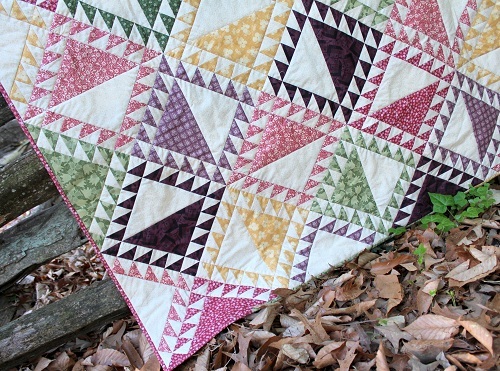 Most of you probably know of my Iron Man quilt, more daintily known as Color Burst. 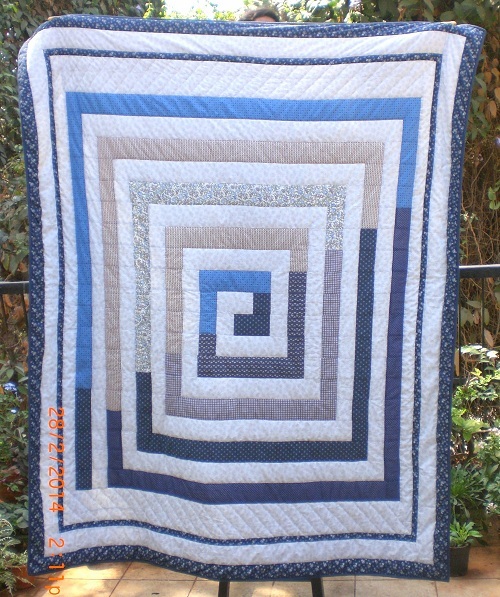 It is a DAR-inspired quilt. 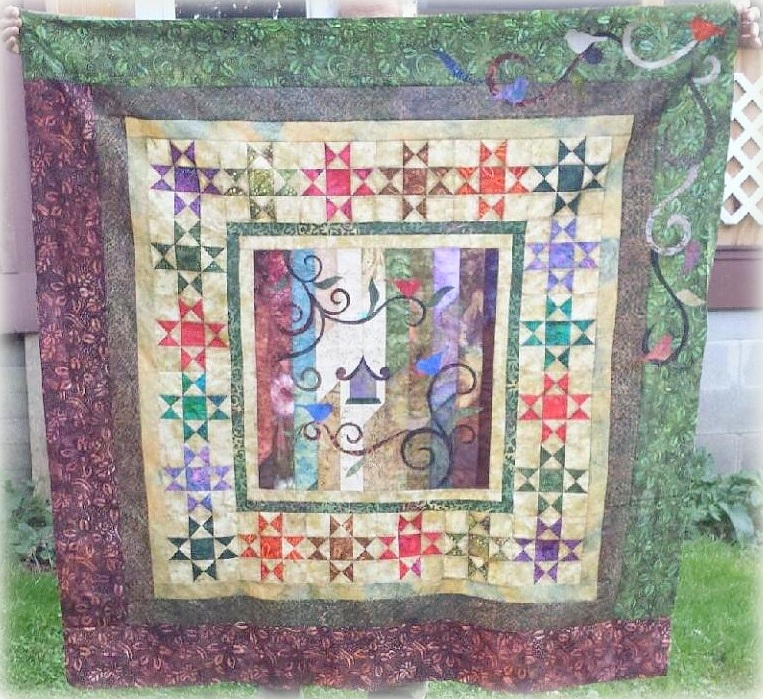 Click here to read more about the quilt. 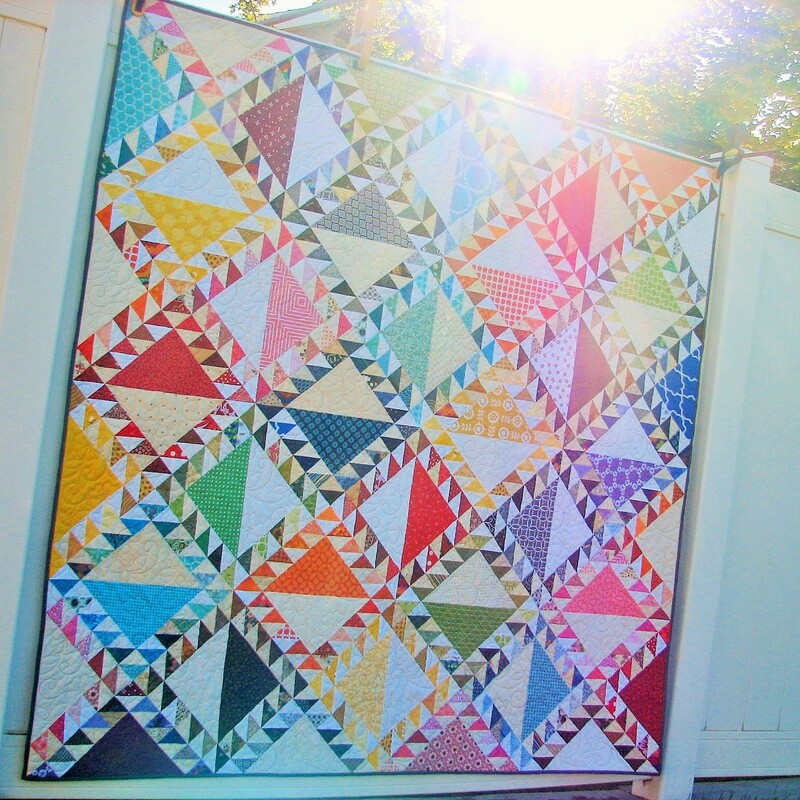 I love how the sun rays kissed Elizabeth’s Friendship Garden quilt because true friendships brings warmth and light into our lives! Click here to read more about Elizabeth’s Friendship Garden. And to close out this week, please allow me to say thank you again for YOUR friendship! Have a great weekend. I shall catch up with you next week — I would probably be half dead from trying to check everything off my list, but I promise I will check in! :) Hugs to you all. Click here to see other readers’ projects. Hello Friends, I hope you are well! It’s another busy week at Ivory Spring with lots of designing, class proposals etc…. but I am slowly getting there. At least I think I am over with the yucky flu! 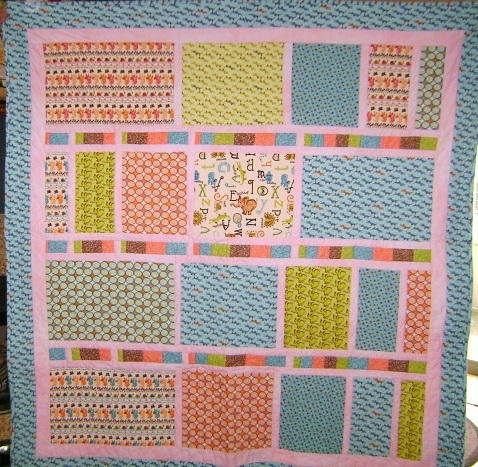 Christine sent her version of my Movement in Squares quilt. 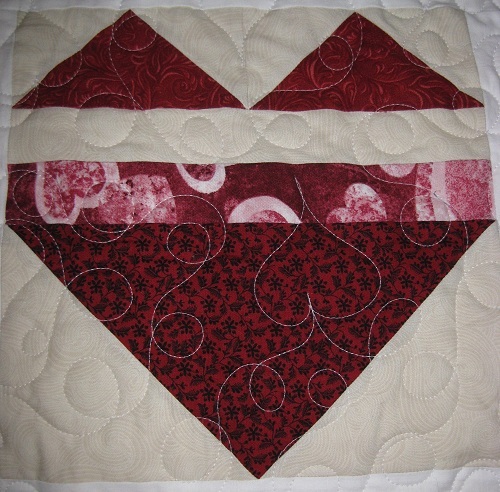 Click on quilt name to download the pattern instructions. Christine is entering her quilt in a show — thanks for sharing your quilt with us, Christine, and all the best to your quilt at the show! Thanks for stopping by! 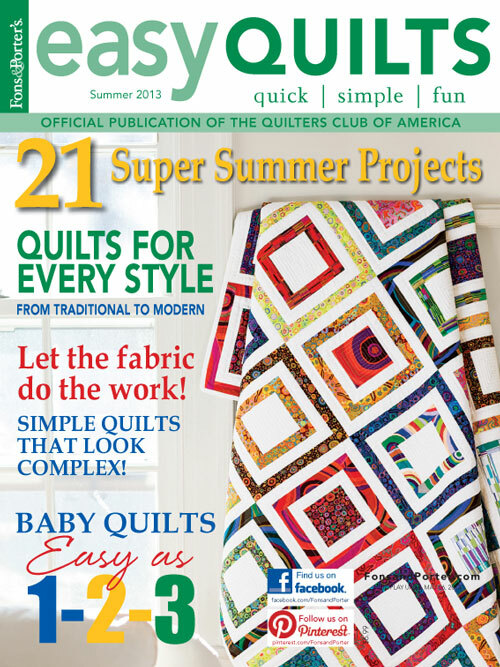 I will have a couple of magazine projects to share with you before the week is over. Stay tuned, and stay warm for my northern Hemisphere friends! Hello Friends, I hope you are well. You have seen Dear Friend Joyce’s version of my Song of Praise pillow here. And look at the latest on Joyce’s pillow!! Joyce’s pillow won first place at her county fair. Congratulations, Joyce – the honor is well deserved!! And a big “Thank You” to Joyce for sharing her work with us! Thanks for stopping by. I hope you have a lovely rest of the day. Hugs to you all. 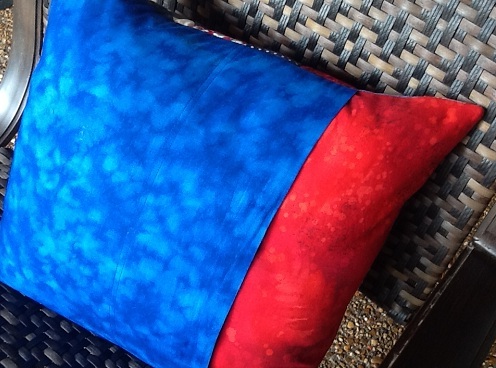 … or rather Song of Patriotism pillow! The following pictures show what I mean. 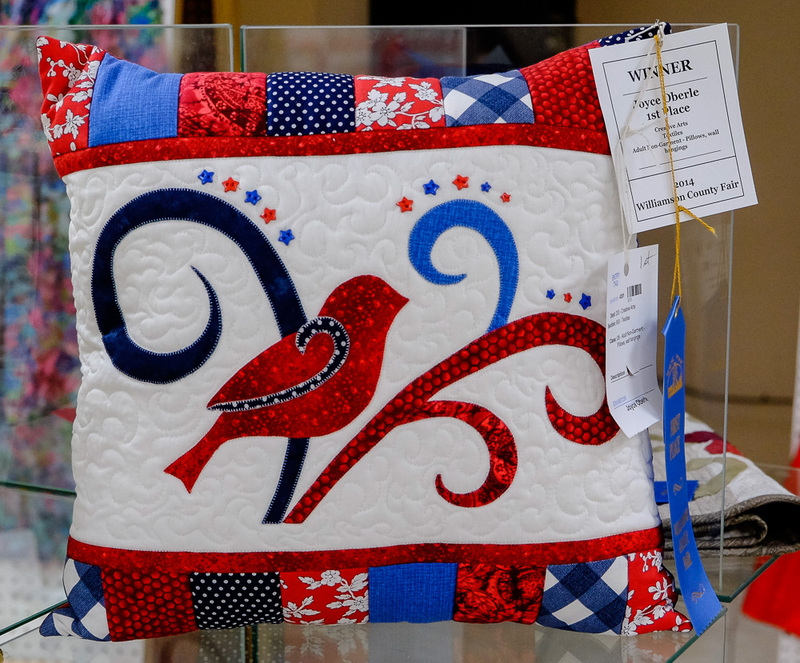 Dear Friend Joyce made my Song of Praise pillow in patriotic colors, and she plans to display her pillow through the summer! Isn’t Joyce’s pillow a beauty? 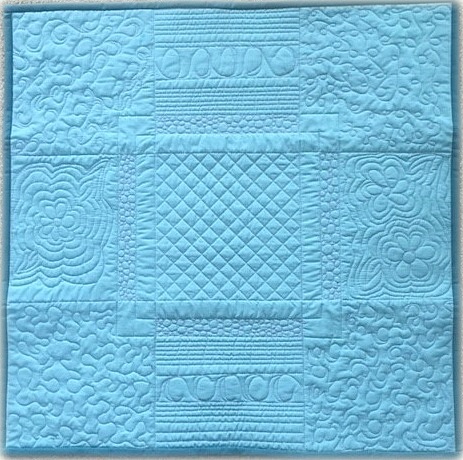 I always like to quilt my pillow top before constructing the pillowcase because I think the quilting adds a dimensional look to the pillow top. I never remember to take pictures of my pillow tops before they are quilted… but Joyce didn’t forget. 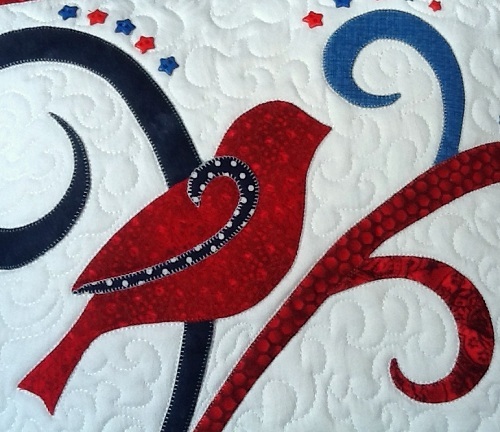 Her pictures illustrate the dimensionless/before quilting and dimensional/after quilting looks perfectly! 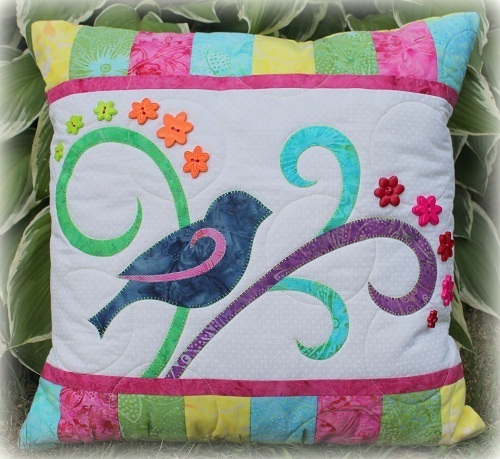 Joyce is a woman of details – she even made her pillow back beautiful! I love her blue/red pillow back. 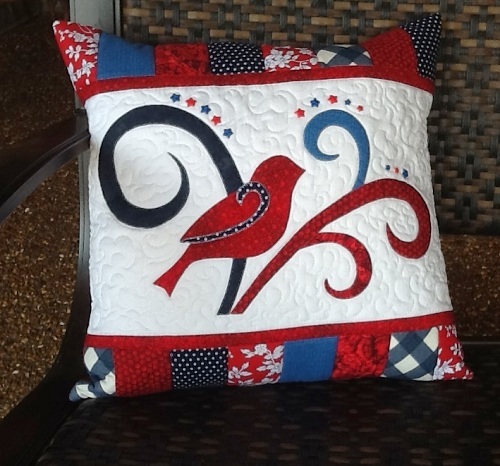 Thank you, Joyce, for sharing your patriotic Song of Praise pillow with us! Click here to read about my original Song of Praise pillow. Thank you for stopping by! Now, do you have a favorite patriotic song? Curious mind would love to know. I think mine would have to be My Country, Tis of Thee. Thanks for stopping by, Dear Friends! Happy Monday and Happy Week to you. You can view more of Joyce’s work here, and here. 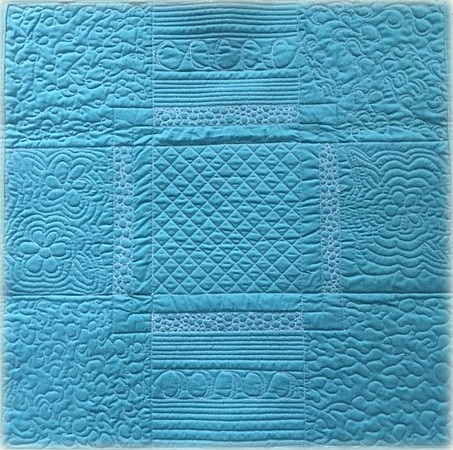 With permissions from McCall’s Quilting and the quiltmaker, I am very excited to share with you a blue version of my Spiral Squared quilt, made by Dolly in India. 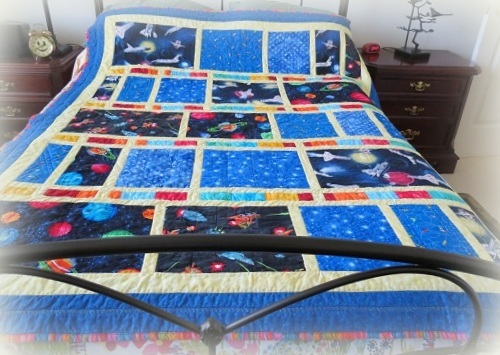 It is a gorgeous quilt, don’t you agree? 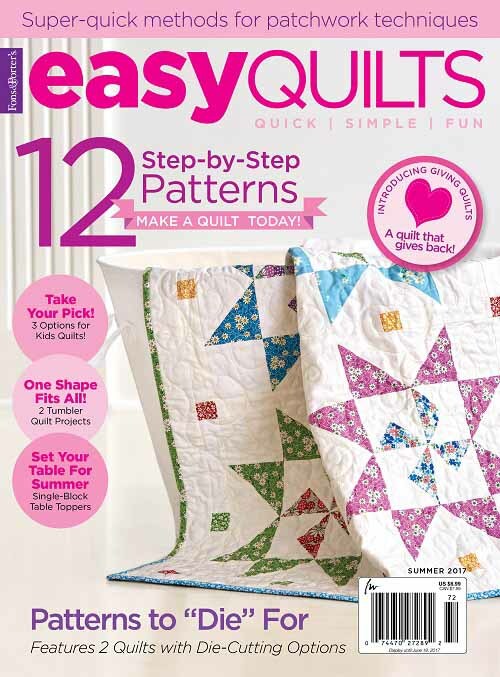 Needless to say, I am beyond thrilled to have Dolly use one of my designs for her recently completed quilt. 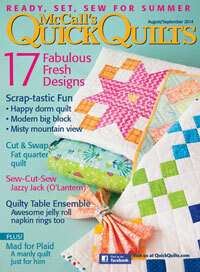 For that matter, I am always over the moon when a quilter uses one of my designs. The following is my original yellow/gray version. Click here for information on pattern instructions. 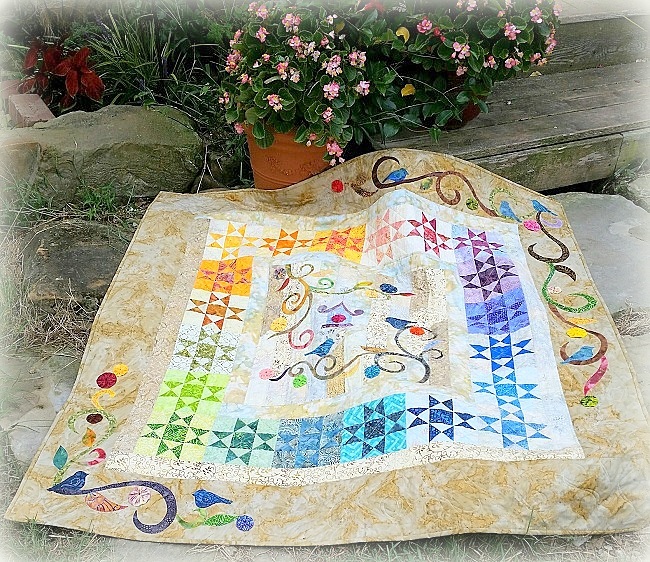 If you have made this quilt in other colors, please please send me a picture of your quilt. I should dearly like to see it! p.s. You may click here to see other readers’ projects.